I've recently been reading Issue 7 of Ernest magazine. It's coordinated by Jo Tinsley. She has edited a fantastic magazine, and if you check the website you can also order some past issues for the same cost as the present one. All of them offer a range of photography, and articles of varying lengths which explore ideas around place. 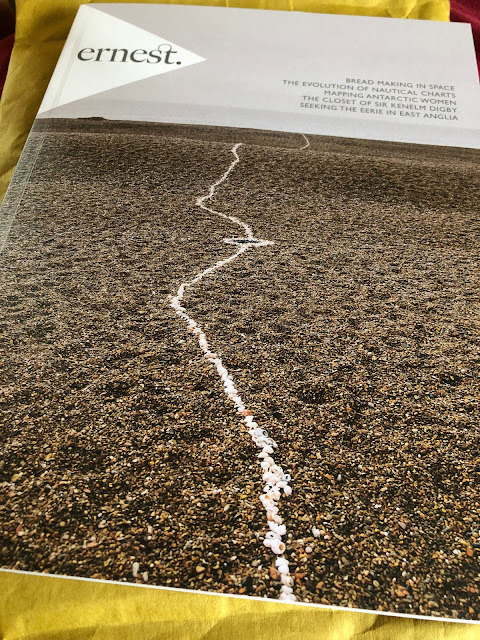 The standout elements of Issue 7 were the sections on East Anglia, with plenty of familiar places which I know very well, including Snettisham, where I lived for 12 years, and also down into Suffolk. There were explorations on the coastal marshes off Wells-next-the-Sea and also along the Blakeney area. There were also some excellent photos, and a fascinating piece on a map of Antarctic Women, produced by Carol Devine, which fits very well with some of the work we did on Polar regions, and in the week when the expedition led by Felicity Aston which I have been following and producing some materials for (although shamefully slowly) reached the North Pole successfully. 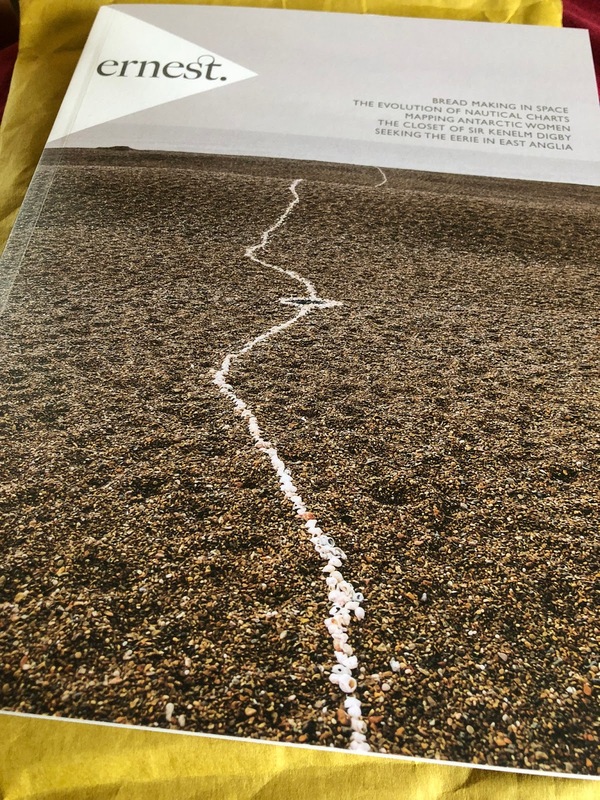 For more on the Polar map of women and Carol's other projects (including an art project on marine litter in Svalbard called Aquamess, which is just the sort of thing I love to see taking place - I've shared and connected with a range of similar projects over the years), visit Carol's website. I shall be ordering some back copies of other issues, as they all look like they will be fascinating reading.